Competitive vaulting is an option for all levels of our vaulters, which requires a much broader scope of time and energy from all who participate. By making this commitment, these vaulters agree to attend practices & dress rehearsals, stretch and strengthen away from training time, assist with PVV activities/demos, be a member in good standing with the American Vaulting Association & AVA Region 1, and acquire the necessary uniforms and equipment. 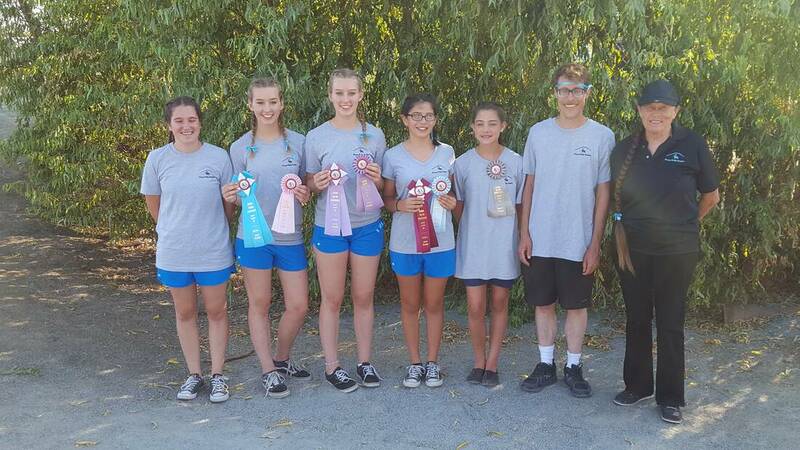 Since 2010, Poway Valley Vaulters have brought home multiple Overall & Reserve Championships in local and Regional competitions in all the competitive levels as outlined in our sport. March 8-10, AVA Educational Symposium - Vaulters, Coaches and parents ​The biggest vaulting education symposium in the world, held at the South Point with new and returning clinicians, for vaulters, coaches, lungers, riders, parents and enthusiasts.